Can cats eat Bacon – Meat like bacon and ham is the greatest processed food of all time for humans. They have the great smell to the taste of the crunch. They are one of the great food. They are not only healthy but still appreciated for the taste. This is a salty treat for us also bring a smile charm on many of our face at breakfast table. But, can cats eat bacon safely as one of our furry members. Should we share bacon with our kitties? Let’s cross our fingers and hope that cats can eat bacon with us. And if not, then it’s all right, we have to find other healthy alternative meat for them. 1.1 What Are The Concerns With Cats Eating Bacon? 1.10 Can Cats Eat Sausages and Spam? 1.13.1 Black Cat Eats Bacon For the first time. Good news is bacon is not toxic to cats. Therefore, completely safe to eat for your feline friend. However, bacon should only okay to give as a sometimes treat. Cats are obligate carnivores animal. cats need other animal meat in their diets. So, what is the problem with bacon? Bacon appears to be containing too much amount of salt for your feline friend. But, A small piece of cooked bacon will not do any damage to your cat. So, They are fine as an occasional treat. But, We do not recommend you to feed bacon as a daily treat for cats. But, bacon is not a healthy food for cats. They have too much fat, too much cholesterol, and phosphate. The phosphate is especially bad for male cats. Because it worsens the formation of struvite crystals. What Are The Concerns With Cats Eating Bacon? Bacon has too much, But, bacon is extremely fatty. This processed meat is coming from the belly of a pig or the side and back. Bacon is completely covered in fat and they are prepared without removing the fat. This fat is wildly unhealthy, especially for our cats. Their small can’t adjust with this large amount of fat. Other processed meat like turkey bacon, they are considered a healthier alternative to the pork bacon. They also contain high levels of grease and sodium. So, They are not good for our feline friend’s health. If your cat is having too much fat in their daily food diet. Then, this can lead to a digestive problem, obesity, and other more serious health-related issues in your cats. You should try to avoid feeding bacon to cats. 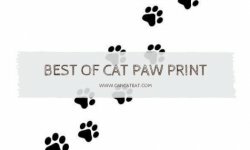 If you are thinking about to feed your cat any type of raw meat. We always will tell you to consult with your veterinarian before giving any kind of raw meat to cats. Raw meats like raw bacon can be fine for your cat only if the meat is truly raw and not cured. And, Most importantly the meat must also be fresh. You have to make sure to take the necessary precautions of your kitty with feeding raw meat. Some tips, Clear your knife, cutting board, and cat bowls are clean. Cats can eat cooked bacon. as we discussed, Bacon is safe for cats. You can give your cat cooked bacon as an occasional treat. But, you should make sure cooked bacon should contain low amount salt. Bacon normally contains too much compare to what amount of sodium your cat’s needs. So, the Best choice is to avoid feeding bacon. If the meat is fresh, then raw bacon would not hurt your cat. Too much fat is not good for your cat. Because bacon is containing too much fat would not do good for your little feline. You should take advice from a vet before giving any raw meat to your cat. Your cat will be completely fine if she ate a few pieces of fresh raw bacon. If they are not fresh meat you should be worried about it. Because only fresh raw is safe for cats to eat. Otherwise, You should contact a vet immediately without wasting a second. Raw bacon is not safe for cats. They contain a lot of fat and raw meat could contain bacteria. If the meat is fresh and she just ate a little bit of it, then it is good news. Then, you do not have to worry about it. Otherwise, you should take advice from a vet immediately. Ham is one of our favorite popular processed meat. Most people enjoy their holidays like Easter and Christmas with Ham. Ham is made out of pork. So, You might think it is a good idea to share it with your carnivorous cat. But, can cats eat ham? The quick answer is no. ham is toxic for cats but, they not okay for cats to eat either. But, Why? Ham is not much different from bacon. Both of this two process meat contains a lot of salt. You should know, 100 grams of ham contains around 1,200 milligrams of sodium. So, this way it is too much for a cat. But, it is okay to give your cat a small piece of ham as a treat now and then. But it wouldn’t do her any good. Because it will encourage your cat to eat this kind of food more and more in the future as well. It’s best that you avoid giving even a small piece of ham to your cat. Foods containing too much salt are not healthy for cats or human. There is a lot of health conscious people around the globe would buy low sodium ham or low sodium processed food. Low sodium ham is okay for your cat as an occasional treat. But, not very often, because even low sodium hams have too much salt for your feline friend. So, you should give her in moderate amount, and not every day. Your feline friend will appreciate if you believe feeding ham as a treat to her. Because of high sodium level in Ham, We do not recommend you to give more than a half of a slice of ham in every two and three days. More than that, there is too much fat unhealthy fat contain in ham which is not good for your cats. This may impact her body. Can Cats Eat Sausages and Spam? Bacon and ham are not the only processed meats that we like to eat. Sausages and even spam are also popular among us and around the world. So, you might think if it would be okay to share these meat products with your cat? Spam is not good food for cats. They are extremely high in sodium. But, Sausages, can be okay for cats. It depends on a few things. there are many different kinds of sausages made around the world. A sausage is okay for the cat to eat or not, It depends on the ingredients are used to make a specific sausage. Some things you should check are the sodium content in it, and if the sausage contains onion or garlic powders. Because, as u know onion and garlic is toxic for cats. As you learned and know that cats can’t eat a lot of sodium food. Therefore, sausages containing a lot of sodium are not safe for your feline friend. And, onion and garlic powders should not be added in that sausage you are giving to your feline friend. So, any sausages or food containing these two ingredients are definitely not safe for your cat. What If a sausage contains very little salt and no onion or garlic powders? Can I give sausage to my cat then? Yes, you can give a small piece to your cat is safe. But, it is better off feeding your cat commercial quality cat treats instead of sausages. Because that way you can always be sure you keep your safe and taking care of her needs and diet. You can cook scrambled eggs in your kitchen for your cat as a treat. 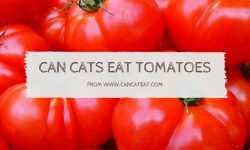 There are some foods cats can’t eat. You should avoid feeding them to a cat. Yes, cats can eat scrambled eggs safely. But, make sure you do not add much salt. It better without salt. Cats normally love to eat eggs yolk. Eggs yolks are good for their skin and fur. So, You can give scrambled eggs to cats as an occasional treat. Egg recipe like scrambled egg is healthy and also beneficial in your cat’s diet as a treat. Most cats can get addict to tuna. Even they are packed for cats or for humans, your cat will try to eat them. Some tuna now and then won’t hurt your kitty. But a tuna that is prepared for humans is not a good choice for your kitty. This will lead to malnutrition for cats. Because They don’t have all the nutrients a cat daily diet’s needs. And most importantly too much tuna can lead to mercury poisoning in cats. There is the list of food cats can’t eat we have mentioned above. So, What Can Cats Eat. Raw Bacon is not safe for cats. Raw bacon can be feed to a cat under a proper guideline by a vet. Fully cooked small sized bacon could be given to your cat as an occasional treat But, They contain too much salt and fat. Too much is not good for your feline’s health either too much fat. And, Do not give your cat raw bacon if they are fresh meat. So, you could also cook bacon with a very low amount of salt for your cat. But, it is better to avoid bacon rather you could give her some other healthy treats. Food like becon content fat. It is best you find different alternative than feeding bacon to your cat. 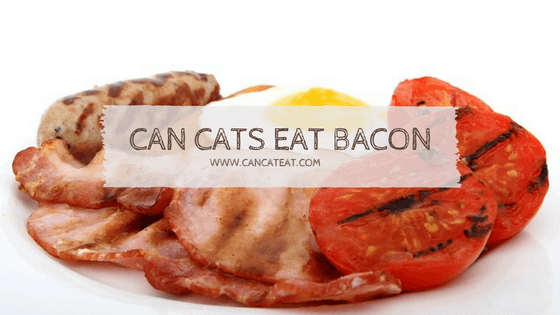 Hope this article helps you to find your answer related to “can cats eat bacon“. 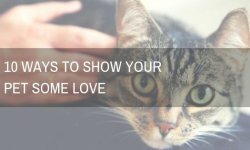 If this article is helpful for you, then kindly share this article with other cat lovers like you. Black Cat Eats Bacon For the first time. This post is useful for me. And I just got new kitten.I want to use bacon for kitten. But I don’t know how use best for kitten? If your kitten is under 18 months then you should avoid feeding bacon. Bacon has fat content in them. So, If you are going to share some bacon with your cat. Just give her in a small amount every now and then. And, do not share bacon with under 18 months kittens because of fat content.